The 14,000-sf urban infill development, The Churchill, is the latest in a neighborhood to be constructed entirely from shipping containers. 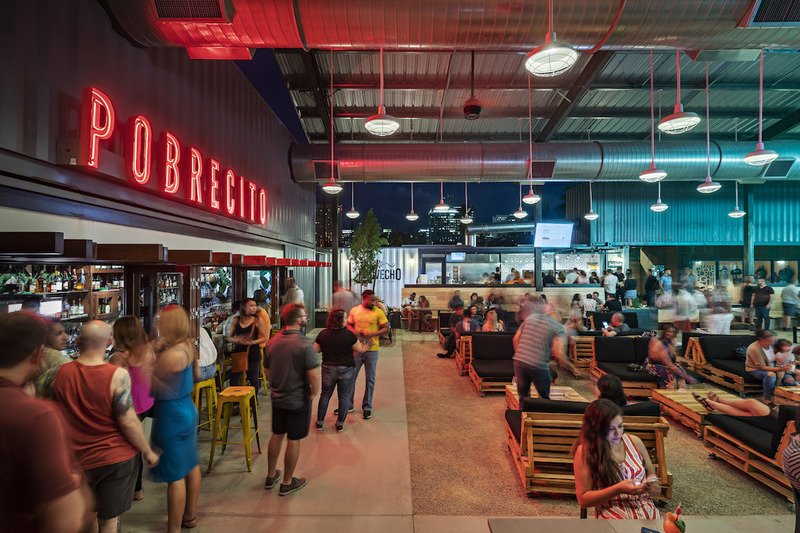 September 1 marked the opening of downtown Phoenix’s newest restaurant and retail marketplace—and its latest commercial construction project to utilize decommissioned shipping containers as its primarily building form. 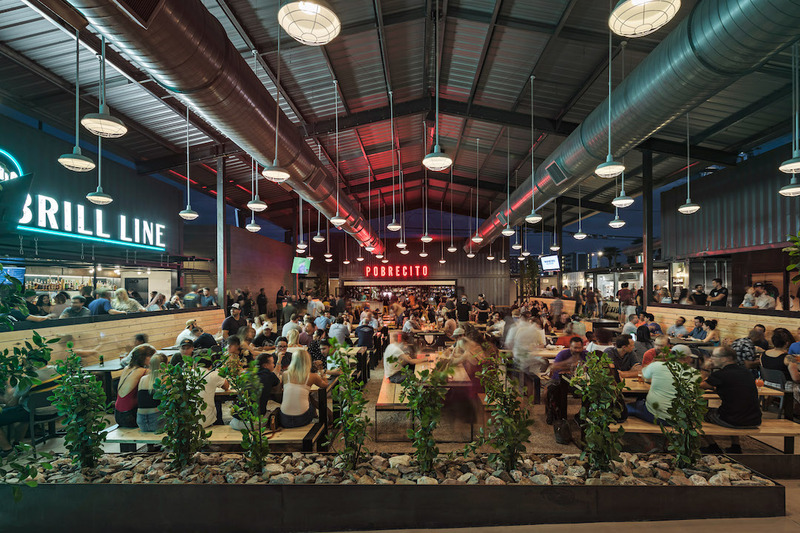 The Churchill is a 14,000-sf urban infill development that caters to small Arizona-based businesses. 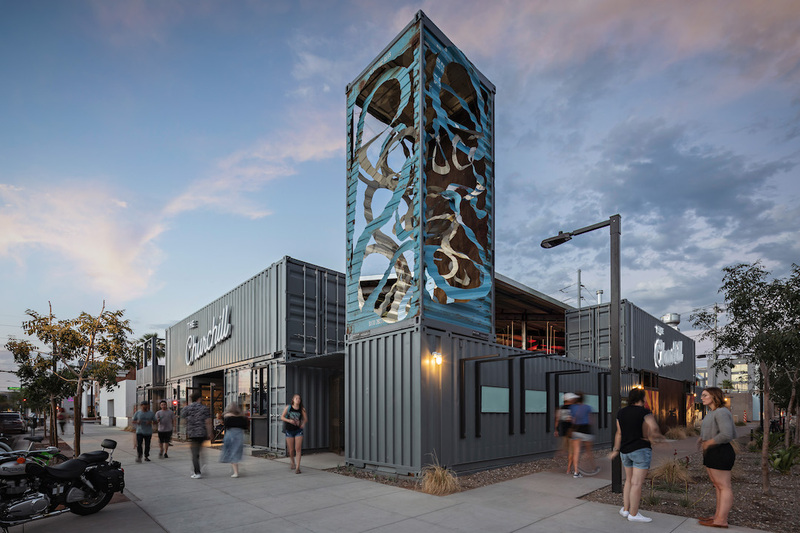 The development is the latest in a neighborhood to be constructed entirely from shipping containers, and the third shipping container project delivered by Phoenix-based design-build firm Local Studio. The Churchill, located at 901 N. 1st Street, is comprised of 19 containers. Each maintains its original doors and wood floors, and parts of the containers were used to build the upstairs deck. The center courtyard is covered and cooled with evaporative coolers and large fans. Handcrafted tables and seats maintain the theme and were constructed with refurbished wood shipping pallets. The centerpiece of the development is 30-foot-tall steel container sculpture created by Phoenix artist Pete Deise. The container is propped up vertically on the southwest corner of the complex and features a paper-cutout aesthetic to expose the interior of the box. Stark says container-based construction is not just about aesthetics. 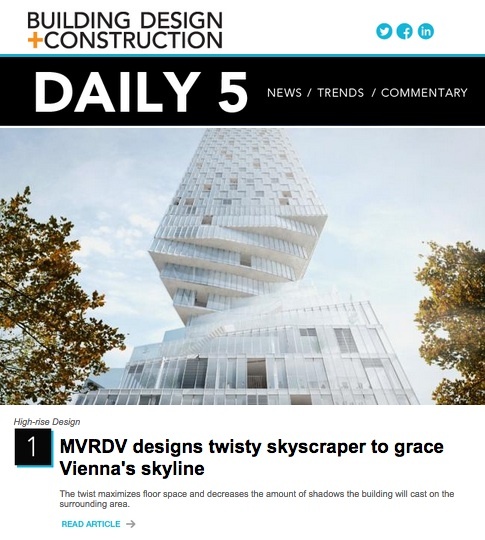 He says the steel corrugated boxes are more durable than common building materials, and structures made with containers can be erected in half the time.